This page contains some large image files. Thank you for being patient whilst it loaded. 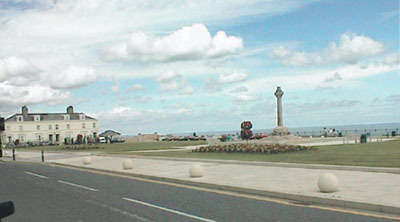 The Terrace Green, North Terrace, Seaham. The Green itself has been completely relaid. 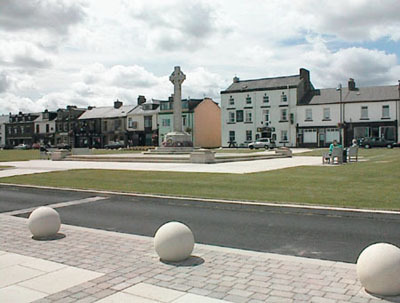 New seats have been introduced and the area immediately around the cenotaph has been improved with new paving stones. The path alongside the Green has also been relaid and it is now possible for the first time for cars to be driven in at one side of the Green and out at the other. Car parking has been improved and there are new railing and ornaments. 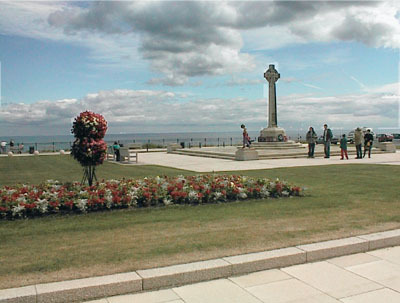 As can be seen from the picture the flower beds have been relaid and are a great improvement. 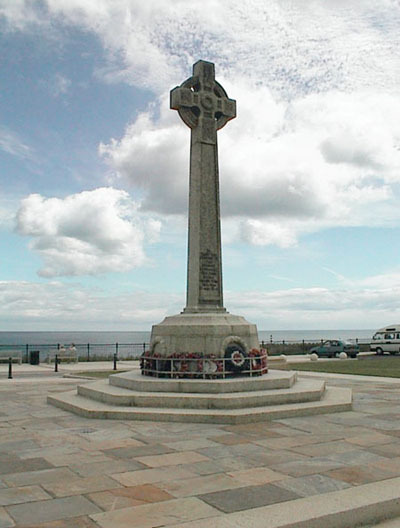 Terrace Green, North Terrace, Seaham. View from the seaward side. 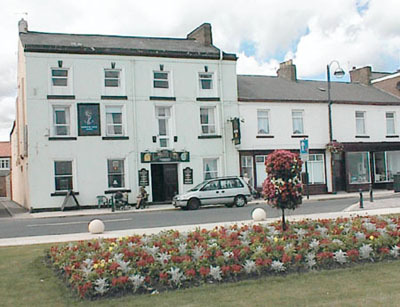 The Cenataph with its new surrounding base. Bath Terrace in the distance. That's the end of our Virtual Walk along the seafront folks BUT there will be more as developments continue AND we will add a page about NEW-LOOK Church Street. Safe Surfing.